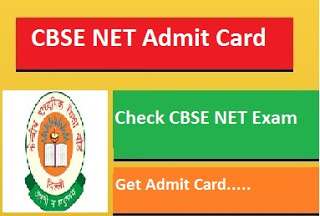 The CBSE UGC NET Jan, 2017 admit cards can be downloaded from the CBSE UGC NET official website that is www.cbsenet.nic.in. The applicants who are applied for the NET Exam to be held in 22 January 2017 go to the site and and click on login for admit card and provide required login details and to download the admit card. Once you click on admit card button a new page . Then your admit card or hall ticket will open.